Trump administration casts doubt for marijuana industry. Throughout his campaign, we continually heard from Candidate Trump that he strongly felt the issue of marijuana was “up to the states.” But after a White House press briefing last week, the Trump administration seems to be putting the exact opposite into play, at least as it relates to recreational marijuana, leaving many shocked, confused and with some serious cause for concern. Using the opioid addiction crisis that killed over 50,000 people in 2015 as motive, Spicer went on to state that “there is a big difference between that and recreational marijuana. And I think that when you see something like the opioid addiction crisis blossoming in so many states around this country, the last thing that we should be doing is encouraging people. There is still a federal law that we need to abide by in terms of the medical — when it comes to recreational marijuana and other drugs of that nature.” Though Spicer ultimately put questions about federal law enforcement of recreational marijuana back on the Department of Justice, he believes that greater enforcement will take place. What this means for budding marijuana businesses is yet to be seen, however there is much to speculate. While many in the industry were hopeful under the Obama Administration that we would begin to see additional support from the federal government, businesses may continue to struggle with things like the banking system and lending further exacerbating the difficulties of running a marijuana business. Spicer’s briefing pushed the marijuana industry a few steps back in the progress that has been made in working towards legitimizing marijuana businesses in the eyes of the feds. Enforcement of the existing federal law would go against public opinion. According to a poll from Quinnipiac University, as many as 71 percent of voters think that “the government should not enforce federal laws against marijuana in states that have legalized medical or recreational use.” You can bet that enforcement from the federal government would cause uproar amongst voters nationwide. The marijuana industry and politicians alike have spoken out against Spicer’s comments, echoing the support of public opinion. New to the recreational market, Nevada Senate Majority Leader Aaron Ford, said his state’s attorney general “must make it immediately clear that he will vigorously defend Nevada’s recreational marijuana laws from federal overreach.” Jared Polis Rep. of Colorado stated that he and other politicians from states where marijuana has been legalized will take actions to protect the industry. “These comments leave doubt and uncertainty for the marijuana industry, stifling job growth in our state,” he said. After his comments left many on pins and needles, Spicer seemed to slightly back pedal his comments when asked for clarification of federal enforcement. “I know what I – I think – then that’s what I said. But I think the Department of Justice is the lead on that. It is something that you should follow up with them, but I believe that they are going to continue to enforce the laws on the books with respect to recreational marijuana,” Spicer elaborated. You can read the full transcript of Spicer’s briefing here. 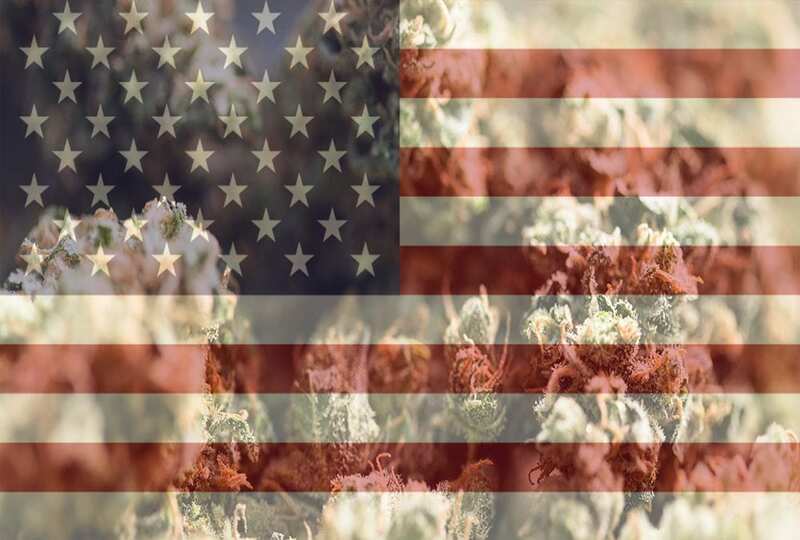 While much has been left up in the air after Spicer’s comments about marijuana, one thing is for sure: it is clear that America’s multibillion-dollar industry won’t be disrupted without a fight. For now, it’s a combination of “business as usual” and “wait and see” for many folks in the marijuana industry.